At BMW of Stratham, we believe your vehicle should always run like new. Come to our dealership for high quality auto parts built specifically for BMW vehicles. Residents in Stratham can shop at the parts department of BMW of Stratham. We have a fully stocked auto parts inventory. If this is the first time you have ever ordered BMW parts in Stratham, there’s nothing to worry about, we make it easy for you! You can also order BMW car parts online by completing our online parts order form to the left.If you’re looking for deals, check out our BMW auto parts specials and save money on your entire order.  At BMW of Stratham we also offer BMW auto repairs, so take advantage of quality service and online parts deals all at the same place. You can schedule a car repair appointment online by completing our service appointment form to the left, and our BMW of Stratham service department experts will get your vehicle in top running condition quickly.